In four parts, overall: 64 by 128 in. 162.6 by 325.1 cm. Diptych, each panel: 126 by 52 in. 320 by 132.1 cm. 36 1/4 by 54 1/2 in. 92.1 by 138.4 cm. 13 1/4 by 6 1/8 by 7 1/2 in. 33.7 by 15.6 by 19.1 cm. 96 by 78 in. 243.8 by 198.1 cm. 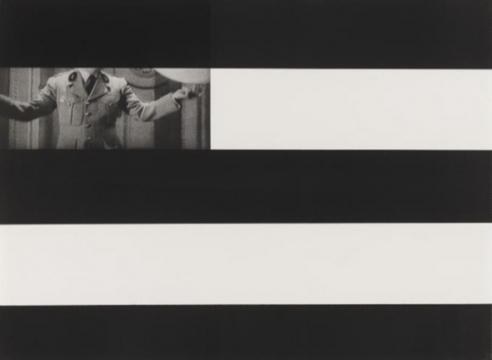 Part of a generation of artists who developed their practices around what was then called “Picture Theory,” Annette Lemieux has gone on to become a trailblazer in the field of post-Conceptualist painting, assemblage and photomontage, drawing influences from Minimalism and Pop art and often employing as her source material media images from the 20th century. Lemieux’s deft use of readymade imagery in her practice is always tied to contemporary life, its humanity and its indignations, its politics and its ever-changing visual codes, and thus her work is always open to new meaning, on both a personal and collective level. Born in 1957 in Norfolk, Virginia, Lemieux studied at the Hartford Art School, University of Hartford where she received her BFA in 1980. 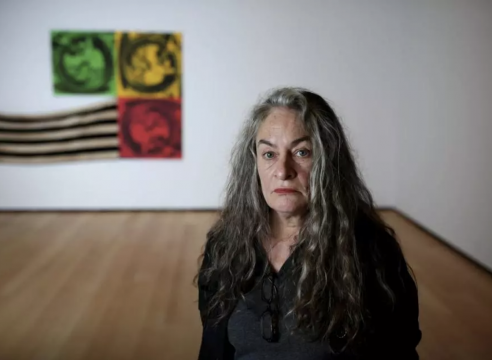 In addition to her recent solo exhibition at the Museum of Fine Arts in Boston, Lemieux’s numerous solo shows include the Matrix Gallery, Wadsworth Atheneum, Hartford; the New Museum of Contemporary Art, New York; the Stichting De Appel, Amsterdam; Castello Di Rivoli, Museo d'Arts Contemporanea, Turin, Italy; Kaiser Wilhelm Museum, Haus Esters, Krefeld, Germany; Museo de Arte Carrillo Gill, Mexico City; and the Davis Museum and Cultural Center at Wellesley College. 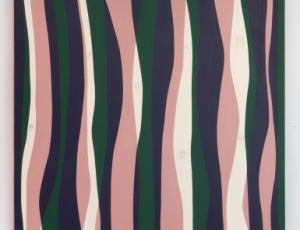 Lemieux’s work can be found in the permanent collections of the Metropolitan Museum of Art, Museum of Modern Art, Whitney Museum of American Art and the Solomon R. Guggenheim Museum in New York; the Hirshhorn Museum and Sculpture Garden, Washington, D.C.; Harvard Art Museum/Fogg, Cambridge; Israel Museum, Jerusalem; Krannert Art Museum, Champaign; Milwaukee Art Museum; Museum of Contemporary Art, Chicago; Art Institute of Chicago; Museum of Fine Arts, Boston; Princeton University Art Museum; Rose Art Museum, Brandeis University; San Francisco Museum of Modern Art; Victoria & Albert Museum, London; Wadsworth Atheneum, Hartford; Walker Art Center, Minneapolis; Yale University Art Gallery, New Haven; among others. 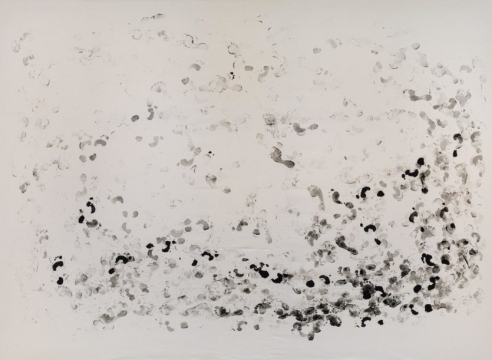 Lemieux has received awards and grants from the National Endowment for the Arts, the Pollock/Krasner Foundation, the Howard Foundation Fellowship, Brown University, and the Kaiser Wilhelm Museum in Germany. In 2009 Lemieux received an Honorary Doctorate in Fine Arts from Montserrat College of Art. Annette Lemieux is included in the group exhibition That Eighties Show at the Nassau County Museum of Art in Roslyn Harbor, New York. Mitchell-Innes & Nash is pleased to announce representation of Annette Lemieux. 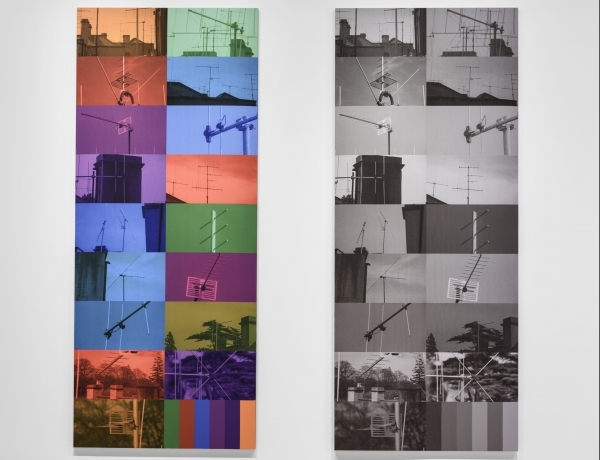 On view, through bodies of work both new and old, is Lemieux’s timely consideration of the longstanding but increasingly visible political and social divide that’s often characterized between urban and rural Americans. 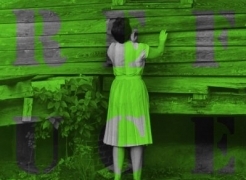 The works identify film as a medium that can uniquely serve as common ground for many populaces; it can transport stories and ideas while often locating reference points for diverse audiences, traversing political bubbles. The films, with their discussions of censorship, pathologization, racism, and class division, resonate today almost as if they aren’t, in fact, decades old. As a summer full of marches and demonstrations draws to a close, with no sign that the mood in the US has become any less sour, the Whitney Museum of American Art has staged an ambitious survey of activist art. 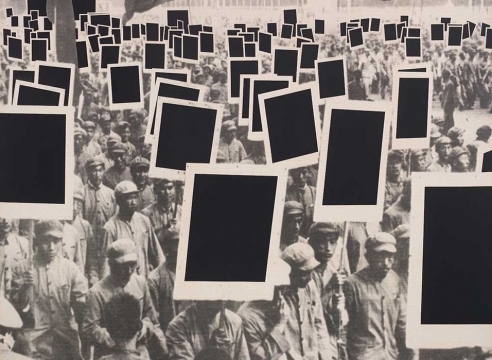 Through a selection of items from the museum’s permanent collection in a range of styles and media, the show offers a pointed reflection on art and protest over the past eight decades, from anti-war protest signage to abstract painting. Lemieux’s approach is generally cool, mechanical, post-modern — repurposing secondhand imagery to make new meanings. In this case, her themes are anxiety, censorship, surveillance and murder in the era of President Donald Trump. Annette Lemieux did not intend for “Mise en Scène,” her new exhibition at the Museum of Fine Arts opening Sept. 24, to reflect the current political moment. She started planning it before the election. It would be about film and revolve around movies she loved growing up. 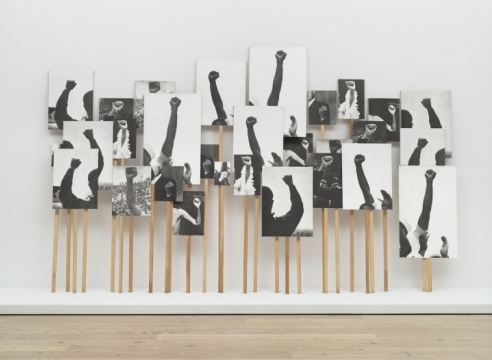 “Left Right Left Right (1995), a piece by Annette Lemieux at the Whitney Museum that consists of 30 images of raised fists, has been turned upside-down at the artist’s request. 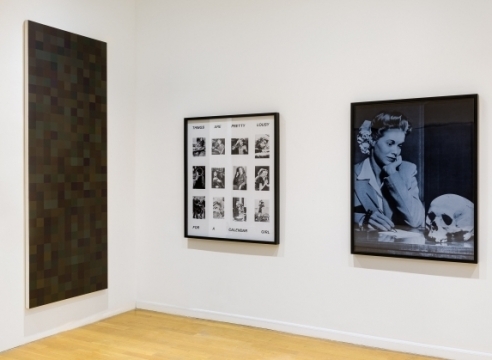 The gallery inaugurates its new uptown digs with a fine sampling of late-eighties works by a pioneer of post-Conceptualist painting, construction, and photomontage. Lemieux’s satirical content may be subtle but it registers with the snap of a major-league breaking ball. 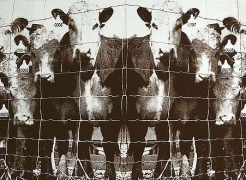 Annette Lemieux's equivocal place among those contemporary artists drawn to reminice--let's call them "nostalgics"--is far from commensurate with her prominence in what might be termed Feminist Conceptualism. Conceptual mixed media artist Annette Lemieux‘s work is included in the collections of the Museum of Modern Art, New York; The Whitney Museum of American Art; The Solomon R Guggenheim Museum; The Museum of Fine Arts, Boston; The Decordova Museum; and numerous museums around the world. 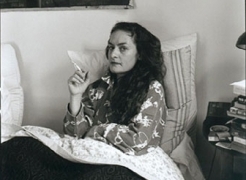 She has received numerous grants and fellowships and exhibits regularly at the McKee Gallery, New York, and was included in the Whitney Biennial 2000. Annette Lemieux lives in Brookline, Massachusetts and teaches at Harvard University.